A fellow WordPress website builder recently suggested that I include the WordPress.org Theme Check plugin in my repertoire of theme evaluation and selection tools. At first, it seemed like a great idea, but the longer I thought about it, the more my opinion changed. Thanks for this. I never thought of it, from this perspective. I guess I should remove this plugin from my personal list of security related plugins. Mwtada – I don’t think you’re alone in that by any means. 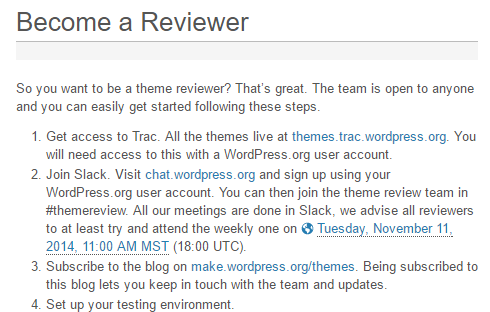 I think a lot of folks see “Theme Check” and think it’s effectively QA for WP themes. I know that’s what I thought until I started researching it once I noticed that most of the premium themes I own don’t pass the Theme Check test. Good point! Have yet to find any theme that will pass perfectly. 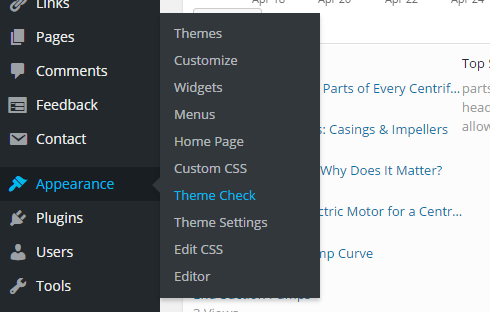 I will say that I use the Theme Check plugin and I will continue to do so. I find it quite hand when building sites for clients, and often there’ll be one or two little things that I’ve just missed. I’m not aiming for a perfect check I am looking to make sure there are things included that should be. 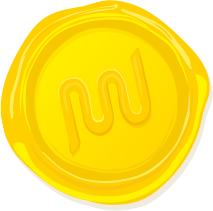 However, it is one of the plugins that never leaves the development environment. You’re absolutely right in that many people may be using it the wrong way, I think that’s the case for many dev related plugins. There’s definitely a time and place to use it and I find it’s a wonderful tool to assist in building client sites. Good deal. Sounds like you have a system that works for you. I’m curious though, do you use a wide variety of themes, and if so, where do you get them? Do you stick to WordPress.org themes or use a variety of premium themes? I recently attended a Wordcamp, where I reviewed themes based on the WP core best practice – https://make.wordpress.org/themes/handbook/review/required/. After reviewing a few I got much quicker at spotting issues with the submitted themes. For theme development I think that the Theme Check plugin is the least you could do to enforce some good practices in your theme. I personally use the WPCS (https://github.com/WordPress-Coding-Standards/WordPress-Coding-Standards) to check my themes, it’s a bit strict but helps you stay off of using bad practices and bad coding standards in your theme. But as you mentioned, from a users/buyers perspective this plugin is quiet useless if you don’t have some knowledge of PHP and WP functionalities. Just a comment on the Premium Themes Won’t Pass section. Theme Forest is enforcing that all the new themes should pass the Theme Check plugin, so the new themes should be written with better coding standards. Good to know that Theme Forest is headed that direction. Thanks for the comment!